Self-hypnosis allows you to hypnotize yourself anytime for positive change, mental clarity, energy. Alleviate IBS, pain, menopause, arthritis, chemotherapy effects, pulmonary fibrosis and more. Call Inspire Hypnosis for your free screening appointment. Humans are hardwired to strive, to always improve. 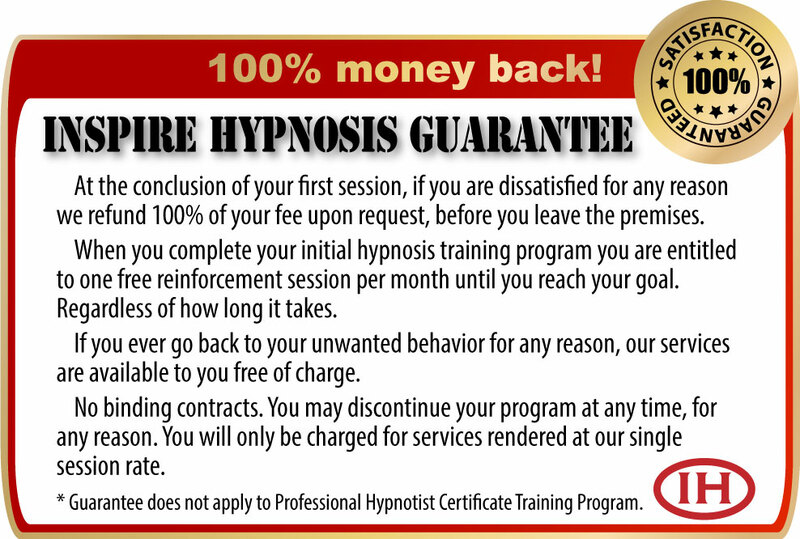 Inspire Hypnosis' self-hypnosis programs are a real shortcut to change, grow and genuine self-improvement. Self-hypnosis is the ultimate human development and self-improvement skill. You learn how to improve concentration, overcome procrastination, organize your life, achieve goals, be more productive. Plus, the regular use of self-hypnosis can be a source of physical and emotional renewal of energy and optimism. Guided visual imagery, defined goals, plan of action and practical self-suggestion inspire and encourage desired changes and improvements. There has never been a recorded instance of someone getting "stuck" in self-hypnosis. 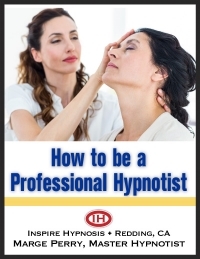 There are no dangers and hypnosis is a pleasant experience that mere words cannot describe. Kind of like describing the Grand Canyon. You have to experience it first hand to really understand it. Self-hypnosis feels good and has proven to offer restorative effects on both mind and body. Self-hypnosis goes beyond mere motivation. It's an essential ingredient to living an optimal life. Self-hypnosis lets you live more confidently, expanding horizons by learning how to think more critically and make better decisions. Which results in a more organized life. Inspire Hypnosis offers selected medical applications of self-hypnosis. A medical referral is required for these applications and we consult with your physician concerning treatment upon your request. If you suffer from any of the above, ask your family doctor about using self-hypnosis. The biggest benefit of hypnosis is it helps restore the joy of living. It delivers a fresh, new enthusiasm to daily life. Discover how to stretch your mind and use self-hypnosis to unlock your true potential. Call (530) 387-6644 for your Inspire Hypnosis free self-hypnosis screening. When you learn how awesome self-hypnosis is, I'm sure you will want to take advantage of it.